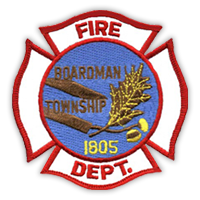 The following requirements have been established for the submittal of plans and specifications for all fire sprinkler systems being installed within Boardman Township. Submittals not conforming to these minimum requirements will be deemed as incomplete and will be returned. These requirements apply to all new fire sprinkler system installations and all changes to existing fire sprinkler systems in either new or existing buildings. All fire sprinkler systems shall be designed and submitted by an individual meeting the requirements of Ohio Building Code 106.2.1 and the Ohio Revised Code 3781.105. This section requires these individuals to be a registered design professional (architect or engineer) or hold a current NICET Level III or Level IV certification. The fire sprinkler system is to be designed and installed in accordance with the current Ohio Fire Code referenced edition of NFPA 13, Standard for the Installation of Sprinkler Systems. 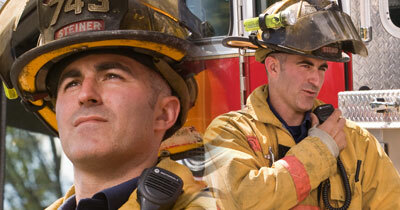 All Fire Department connections (FDC) are required to be 4-inch Stortz fitting on a 45-degree elbow. The location of the FDC shall be coordinated with the fire inspector. A horn/strobe device shall be installed on the exterior of building in lieu of water motor gong. This device should be approximately 10 feet above the FDC and operate on water flow only. All water lines shall be a minimum of 6 inches in diameter to the base of the riser, where there is no fire hydrant attached. All water lines for sprinkler systems where a fire hydrant will installed shall be a minimum of 8 inches. All underground water lines shall require a permit be issued prior to installation. An individual certified by the Ohio fire Marshal’s Office shall be on site during all phases of the underground water line installation, flushing, and testing. After acceptance testing has been completed and witnessed by a representative of the Boardman Fire Prevention Bureau, a completed NFPA Test Certificate for Aboveground Piping shall be provided by the installing company to the Fire Prevention Bureau and to the owner/occupant.